As memories from American Pharoah’s thrilling ride still resonate, it’s instructive to remember an earlier Run for the Roses nearly three decades ago. The 1986 Kentucky Derby was a sentimental, even magical affair, as the legendary 54-year-old jockey Willie Shoemaker finally captured the only major racing prize that had eluded him. The Shoe steered Ferdinand, a 17-1 long shot 3-year-old, from last place through a heavy traffic jam in the stretch, to a 21/4 length victory at the wire. Ferdinand emerged as a national figure, later sealing his legend with an historic photo finish Breeders’ Classic upset over the mighty Alysheba, clinching Horse of the Year honors in 1987. It’s also instructive to consider the retirement arc of that champion thoroughbred. After only modest success at breeding talented offspring, he was sold to Japanese interests in 1994. In 2002, at the relatively young age of 19, he was “disposed of” in a Japanese slaughterhouse. While Ferdinand might have wound up as a gourmet steak at an upscale Toyko restaurant, the most likely fate of this elite athlete was in the form of processed pet food. No other Derby winner has met the same despicable demise. In fact, since this tragedy was exposed, many sales contracts for prized stallions now include a “Ferdinand clause,” enabling the seller to repurchase a horse after his career at stud is complete. Every year, however, an estimated 150,000 U.S. horses are sent to Canadian or Mexican slaughterhouses to feed horse-hungry palates in Europe, South America and Asia. More than 10,000 of them are thoroughbreds. At the center of this practice are middlemen known as “kill buyers,” whose profitable profession consists of gathering up horses for slaughter and then transporting them across the U.S. border. They purport to offer a valuable service to the industry: With the sport of racing in serious economic distress, kill buyers provide financial recompense to struggling owners, and profess to provide a more humane alternative to the abandonment and slow starvation of unwanted horses. But mercy killing it’s not. Horses are hauled to their death in long transports to Mexico or Canada, often with only very minimal food, water or sleep. The slaughtering process can be deeply gruesome — in some reported cases, horses experience excruciating pain while partially conscious as they are bled out and then dismembered. And in all-too-common cases when an international slaughter house deal goes bad, the kill buyers themselves will routinely abandon horses to which they’ve been entrusted. In one disheartening instance this year, described by the equine investigator as “the worst case of animal cruelty I’ve seen,” a kill buyer in Pendleton County, Ky., was charged with 15 counts of animal cruelty after examiners found 49 dead carcasses and 15 severely emaciated, barely alive horses on his property. Another kill buyer in nearby Mason County was charged last year with second-degree animal cruelty when 16 dead horses were found improperly disposed on his land. It doesn’t take a vegan-swearing, leather-protesting PETA activist to be disturbed. Particularly here in the Bluegrass State, we have a special bond with the gallant steed — akin to that of a beloved family pet — who we name, groom, feed, nurture, ride, cherish and celebrate. That other cultures find their meat appetizing is nauseating; the brutal and macabre process that leads them to the dinner table is infuriating. It’s also a matter of simple economics. Horse racing is responsible for more than 100,000 jobs and a $4 billion economic impact in Kentucky alone. And a 2011 report commissioned by the industry vanguard Jockey Club revealed that the recent steep decline in fan support for the sport — particularly among younger Americans — is in appreciable part due to concerns over animal safety and welfare. Of course, declining revenues lead to more desperate owners, who view kill buyers as a financial lifeline. This vicious circle can only be interrupted if this vicious practice is prohibited. Fortunately, the anti-slaughter movement has been buoyed by the activism of a powerful ally: the thoroughbred industry itself. Just as with the battle against the use of performance-enhancing drugs in the sport, leading breeders, owners and enthusiasts have argued that for racing to rebound from its decades-long decline, a focus on the sanctity of the horse itself is in order. Both Churchill Downs and Keeneland have joined a growing number of national racetracks who’ve enacted stringent anti-slaughter policies that impose penalties — including race bans — on anyone who is caught selling a horse to a slaughter house or to an intermediary auction. Thoroughbred enthusiasts have developed organizations that adopt and protect unwanted horses — such as Georgetown’s nationally-lauded Old Friends home — and provide a dignified retirement to thoroughbreds after their profitable years have ended. The prestigious and influential National Thoroughbred Racing Association has instituted a variety of horse-protection programs that promote the rescue of horses that are in danger of cruel disposal. Voluntary industry action, though, has its limits. Banning horse slaughter, and the practices that facilitate it, requires federal legislation. While no permanent law prohibits horse slaughter in the U.S., Congress has overwhelmingly passed a series of spending bills since 2007 that have effectively shuttered domestic slaughter houses (a rare cause embraced by both President Barack Obama and Senate Majority Leader Mitch McConnell). By contrast, efforts to ban the export of horses to slaughter abroad have continually failed. Some reform advocates charge Senate Minority Leader Harry Reid with running interference for Nevada cattlemen who find the practice a convenient way to rid their lands of wild horses. But with a less powerful, lame duck Reid ambling toward his own retirement, legislation introduced last week could finally extinguish the practice. The Safeguard American Food Exports (SAFE) Act, H.R. 1942, would prohibit the transport of American horses for human consumption abroad, while also permanently forbidding the reestablishment of slaughterhouses in the U.S. As its title reveals, the bill is shrewdly promoted as a food safety initiative: Unlike cattle and poultry, horses are not raised to be consumed — there’s no FDA oversight to prohibit the use of drugs that could be toxic to people — so the practice poses severe human health risks in the U.S. and abroad. The bill already boasts broad bi-partisan support in the House, with 41 original co-sponsors. Of course, in our polarized and paralyzed political system, the passage of any legislation faces dark horse odds. But as the industry continues to recognize that its future is dependent on the public’s trust, popular support could ensure legislative reform. Best of all, a meaningful focus on the noble animal itself could one day reinstall horse racing to its rightful place as the sport of kings. Jonathan Miller, the former Kentucky Treasurer, practices law at Frost Brown Todd in Lexington. The devil will be in the details. There is always the risk that in this congress a bill that is designed to do a particular thing will be tugged and tweaked to provide various exceptions and unintended consequences. As these kinds of bills move forward, supporters need to be very vigilant of behind the scenes tampering. Especially with Nevada’s Sen. Reid behind it. 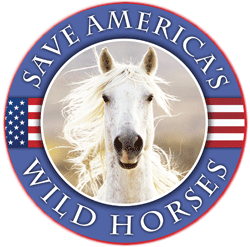 He has been on the rid the west of wild horses bandwagon and even one of his ex staffers run the BLM management that has been rounding them up. You are right this bill has to be carefully monitored and discussed before it goes to “Congress…Ugg”. My congressman was getting on Sec. Jewells for not doing enough to open the west to even more leasing. great article till the ‘lame duck’ crap…. if our government does not stop our horses very soon – we must put more effort into educating other countries and informing officials in other countries of how corrupt our government and the horse slaughter mafia actually is. Just read an article in Equus by Deb Bennett – she says she has “shocked” many an audience filled with owners of TB racehorses by informing them that a 2 year old is not only NOT physically mature – its 4 years away from maturity! I’m sure that many racehorse owners have no knowledge of the animals they are buying – BUT how dense does someone have to be? I don’t pretend to know everything about horses (far from it) but not to know a 2 year old is a baby????????? Very good article – per the inbred thoroughbred. (have to admit – probably not the only breed). Unfortunately, most of those who buy racehorses know nothing about horses and do not care to know. They are gambling. And they do not give a damn about their horse who is not a winner or what happens to her. agree that all too often the real intentions of a bill, esp an animal-related one, is compromised to the point that it is unrecognizable, between adding amendments, making revisions, and of course the public is never informed – so I encourage everyone who contacts their lawmakers to pass this to FOLLOW UP to see where the bill is…also to learn how your lawmakers have voted on animal-related bills, go to The Animal Welfare Institute’s website http://www.compassionindex.org to see exactly HOW they have voted on past similar bills and others – in Texas Cornyn and Cruz are BOTH pro-slaughter, as are many U.S. Reps, including my Rep Mike McCaui, Dist 10, Katy. Both he AND Cornyn OWN horses, Cornyn has the audacity and arrogance to campaign on horseback, You need to KNOW how members of Congress vote on any animal.wildlife legislation IF you care at all about this issue, Some of you will be angry, hopefully enough to reconsider how you vote in the next election. Thank you so much for the link Carole. As someone who is very intrigued by politics and planning to vote for the first time, this will be a good reference for me and other voters to look upon. First, check all the committees where this bill has been sent. Then, check the Chair and Vice-chair of those committees and their position on horse slaughter. There are some ties with Big Ag that are thought to be unbreakable, but best to know before you say, “Never say Never”. I am not on FB so can’t comment on the original article but perhaps someone could point out the error in the above quote. Nevada cattlemen are actively attempting to remove wild horses from primarily PUBLIC lands, not lands owned by Nevadans. Public lands are not “theirs” but “ours” as are the wild horses that live on them. But, IcySpots, the Cliven Bundy’s truly believe that the public lands belong to them. which is exactly WHY many many more Americans need to speak up, lawmakers, state and fed, all have one thing in common, they want to be re-elected and even tho Big AG, ranchers, livestock industry throw $$ at them for re-election, that won’t stand up against a whole lot of constituents unhappy with the way not only our wild horses and burros are being treated, but all wildlife. Call/email your state, fed reps AND your Governors often, don’t let them think you have forgotten………. It has been stated that out of 30,000 foals, one may make it racing. What about the other 29,000? I agree that Harry Reid had a lot to do with the previous bill not passing. I also do not believe horses owned by foreigners should run in our Triple Crown. They throw them away like trash! But back to the bill. I feel it has a very good chance of passing. There are some very well known politicians on both sides of the isle supporting this. If you view the face book page of Auction Horses, you’ll see the faces of all the companion owned horses in these Kill Pens its disgusting!! I also see the Horse Warriors attempting to save as many as they can from slaughter. I read the other day that 150 burros would be showing up in the Kill Pen near Kaufman, Texas. This did not count the other 75 that showed up the week before. Where are all these burros coming from?? This bill cannot pass fast enough for me. Its going to happen. I sure hope these breed associations are ready as they have been supporters of slaughter. Now with the support of all the humane organizations and bipartisan support. This has a huge chance of passing! The Turtle is pro horse soring. And HarrynReid has blocked every pro horse bill to ever enter the Senate. Right now Maggi Moss (no relation to Zenyatta’s owners)is trying to find an owner who literally dumped his horse at a feedlot. This horse looks li,e he was hit in the face with a shovel. Big scrape/cut from poll down thru the right eye. The colt was three years old. Someone picked him up and took him to the vets who mercifully put him down. The breeder supposedly breeds 40 mares a year and gives away the culls. But doesn’t keep any records. He keeps the papers cause he uses them for stalls at the track. Which begs the question just who is guarding the henhouse? And how do we know that XYZ horse whom we lay down our hard money for is the horse of record? So right now, we have a horse who was viciously assaulted and died as a result of the wounds he sustained. And the breeder is claiming the colt was “too crooked” for their program. He gave the colt away with the understanding the colt would NOT be raced. The colt was found with new racing plates on his feet. Just how in the world did this colt get on to track with no papers and no trainer of record much less owner? The track has no record of the colt. The breeder is dodging all responsibility. I’m thinking if racing could get a pair of brass ones they could ban this breeder just like they did with Ernie Paragallo. This kind of breeder is what gives racing a VERY BLACK EYE. Too crooked to race=throwaway. But then someone wanted their horsie on the track and when he proved he couldn’t be what they wanted he was beaten about the head. This is not animal activist on the rampage griping. This is if a person could do this to an innocent animal what will they do to a child who mistakenly wets or poops the bed? It’s a potential serial killer in the making. Horse racing needs to be banned completely,but b/c too many people need to feed their self-gratification and selfish need for “entertainment” and greed, it will never happen. And this wonderful animal will go on paying the price. For those who overbreed, then to learn many of their horses as well as retired racehorses wind up in slaughter, how do they sleep at night, it is sickening. We also need to look at the Industries other ugly act. The nursemare Industry, require LIVE mare cover end the need for Nurse Mares and the homeless cast asides their foals, left for naught. Require better control of registries and encourage casturation for Stallions give Vets Incentives, we need to do everything to end over breading. After all when you go Fishing it’s called fishing not “catching” EARN that win people!!!! See http://www.kaufmanzoning.net for horse slaughter info. How can a country who was built basically with the help of horses, let something this evil continue. Anyone with half a brain knows this is the cruelest thing that could possibly happen to such a big hearted and loving animal. It must stop! Where our politicians in this process.? It seems that money is the definite root of all evil! Do these people have no conscience! How low can people go for the sake of the almighty dollar? I love the idea of bills like this, however, what will happen to all the unwanted horses? I recently rescued to amazing horses off a kill lot. I have no idea how either of these amazing creatures ended up there. The problem is an overpopulation. Industries that support huge breeding programs with no plans to ensure the safety of these animals long term is one of the biggest contributors to why we even have auction and slaughter. Additionally, back yard breeders need to be stopped. No horse should be bred for the love of one of the parents. Stallions shouldn’t be able to breed horse after horse after horse every single season. This is a breeding problem and population problem. Making animals a commodity is disgusting and drives the kill buyers and slaughter houses. It is all about greed, ranchers and the livestock industry feel an entitlement to OUR public tax subsidized lands……for their cattle and sheep grazing, they want all wild horses gone, with their absurd claims that the horses are responsible for eating the forage……..AND they have their buddies in Big AG who do nothing but lobby state and fed lawmakers as well as all the other govt agencies like the BLM who do their bidding….yes it has been a national DISGRACE for many years, AND they do NOT WANT THE HORSE SLAUGHTER BILL PASSED AND ARE LOBBYING FOR THAT AS WELL. thanks to horse advocate groups like The Cloud Foundation, American Horse Preservation Society, Return to Freedom, and other orgs many horses have been spared with the various lawsuits they have filed…..it is an ongoing battle and people who care about horses, bison, burros (also being hazed, removed and slaughtered) must continue speaking up!! Tell your lawmakers enough is enough!